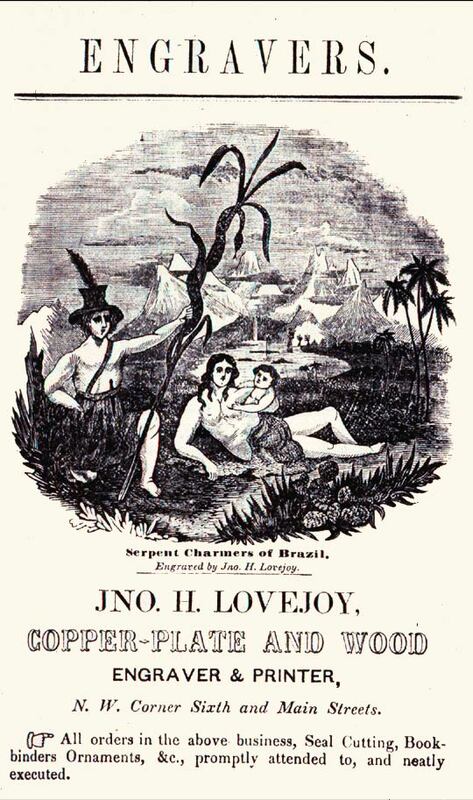 John H. Lovejoy. Engraving. 3&9/16 x 3&11/16 in (9.05 x 9.37 cm). Kimball and James' Business Directory for the Mississippi Valley: 1844 (Cincinnati: printed by Kendall & Barnard, 1844), p. 111. The Public Library of Cincinnati and Hamilton County.